Backed by profound experience of our experts, we are an unparalleled name engaged in providing the high-quality assortment of Mushk Bala. We are a renowned name that is actively committed towards offering qualitative Tagar Ganth. Our provided Tagar Ganth is available in various packaging options for our clients. 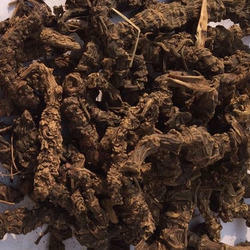 Root is used widely to cure HIV Positive, Heart Attack, Diabetes, Stoke, Blood Cancer, leprosy, skin diseases and etc. - Part Used : Root. - Botanical : Valeriana Wallichii. - Indian Name : Tagarganth / Tagar / Gathona / Asaroon/Sugandhbala. We are enlisted amongst the leading names in the industry offering our clients wide range of Tagar-Roots. We are counted as one of the famous organizations for offering a premium quality collection of Taggri Roots. We are a prominent firm, engaged in offering our respected clients with an exclusive range of Taggri Root. With sincere intentions to preserve and uplift our reputation in the market, we bring forth a distinguished assortment of Taggri Root. 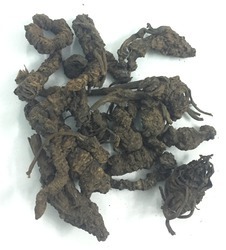 We are a renowned name, which is engaged in offering a wide and comprehensive range of taggri root.